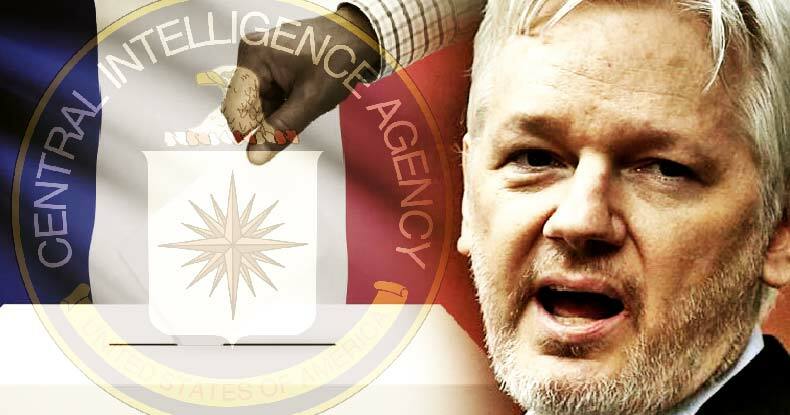 In a devastating blow to the US propaganda machine, who’s been hellbent on pointing the finger at other countries for interfering in elections, (ahem Russia), WikiLeaks released CIA documents detailing espionage orders to infiltrate all major political parties in France — a strong US ally. The document, drafted in 2011 was classified SECRET//NOFORN, meaning no foreign eyes can view it — for obvious reasons. It details how analysts in CIA’s Office of Russian and European Analysis (OREA) closely watched the Oct 9th and Oct 16th Socialist primaries and will be closely monitoring the April 22nd and May 6th 2012 Presidential elections. All major French political parties were targeted for infiltration by the CIA’s human (“HUMINT”) and electronic (“SIGINT”) spies in the seven months leading up to France’s 2012 presidential election. The revelations are contained within three CIA tasking orders published today by WikiLeaks as context for its forth coming CIA Vault 7 series. Named specifically as targets are the French Socialist Party (PS), the National Front (FN) and Union for a Popular Movement (UMP) together with current President Francois Hollande, then President Nicolas Sarkozy, current round one presidential front runner Marine Le Pen, and former presidential candidates Martine Aubry and Dominique Strauss-Khan. According to the CIA orders, the intelligence agency assessed that Sarkozy’s UMP (Union for a Popular Movement) party was not assured re-election, so they needed to act to ensure they maintained influence over the outcome. The espionage orders tasked CIA spies with finding out Sarkozy’s private deliberations “on the other candidates” as well as how he interacted with his advisors, according to the documents. As WikiLeaks points out, Sarkozy’s earlier self-identification as “Sarkozy the American” did not protect him from US espionage in the 2012 election or during his presidency. The espionage campaign was vast in scope and required the spies to obtain opposition parties’ strategies for the election; information on internal party dynamics and rising leaders; efforts to influence and implement political decisions; support from local government officials, government elites or business elites; views of the United States; efforts to reach out to other countries, including Germany, U.K., Libya, Israel, Palestine, Syria & Cote d’Ivoire; as well as information about party and candidate funding, according to the report. Many of the tasks required agents to obtain specific economic information, including The vulnerability of the French government and French banks to a Greek default and determining whether or not they had ties or support from local government officials, government elites, or business elites. As WikiLeaks points out, this order coincided with another espionage order devoted specifically to economic espionage against France in order to obtain details about the economic activities of French companies and the economic policies and decisions of the French government. The documents detail that the order ran for 10 months, from Nov. 21, 2011, to Sept. 29, 2012. It then continued after the April-May 2012 French presidential election and into the formation of the new government. The glaring hypocrisy revealed by this latest leak cannot be ignored. The US, along with their strong arm in the mainstream media, has been hammering Russia for entirely unproven allegations that they somehow interfered in the 2016 election. In December, former Congressman Ron Paul called it when he said, “The American people should be worried about the influence of our CIA in other people’s elections, I mean probably hundreds. It’s constant,” even going as far as to allude to “domestic assassinations” the CIA has allegedly taken part in.